Mamonde introduced their latest Flower Toner Series which is inspired by the Damask Rose, Plum Blossom, Chamomile, Buckwheat Honey and Heartleaf Houttuynia a couple of weeks ago. 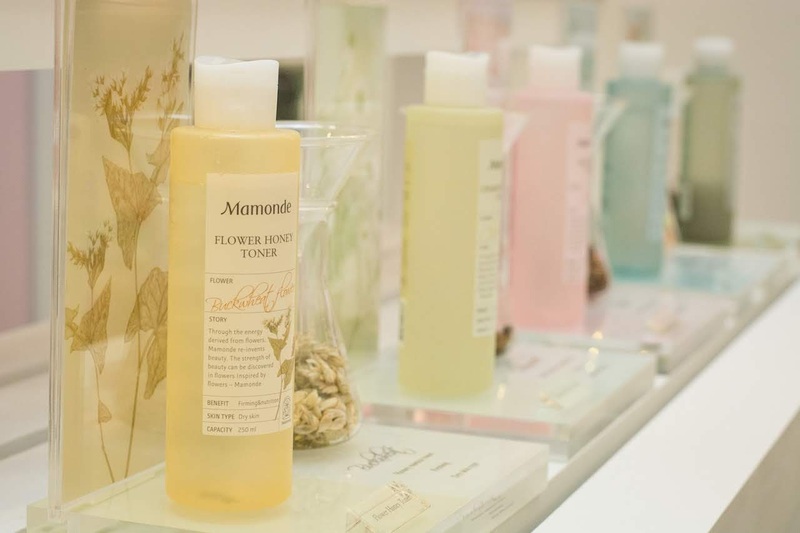 Mamonde Flower Toner Series allows you to choose your skin type as it is formulated with flower-derived active ingredients to accommodate different skin needs. 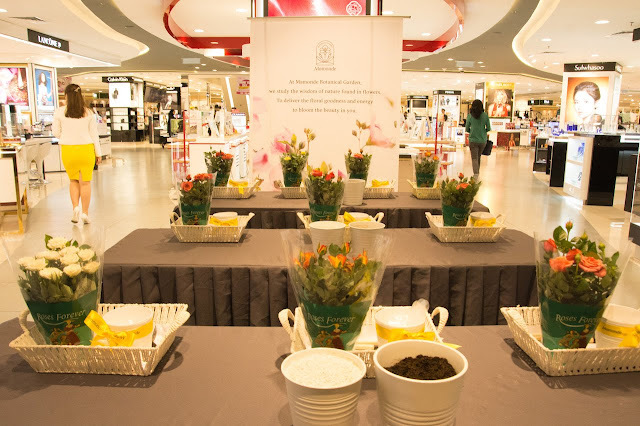 Flowers are one of mother nature’s most enthralling creation. Not only does a flower intrigue us with its unique beauty and sweet scent, it also invigorates the skin and heals the body with its natural therapeutic benefits. In a continuous effort to unveil the beauty of flowers, Mamonde has discovered the nourishing properties of FIVE selected flowers which bring women’s beauty back into bloom. 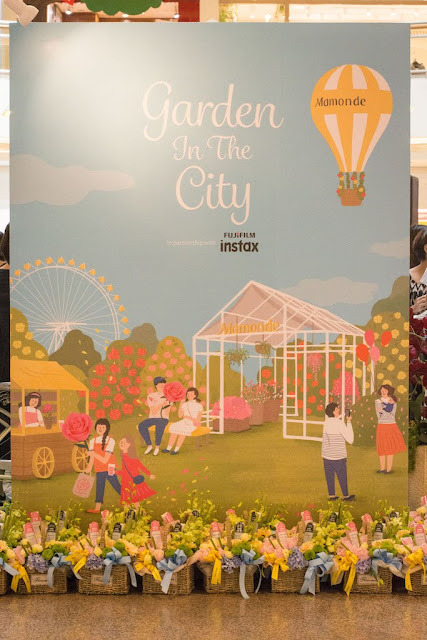 The Garden In The City event which was held in Midvalley KL was inspired by the Korea's Garden In The City which allows the customers and media to have hands on experience on the products displayed. I took this chance to take photos with some of my friends whom I have not been meeting them for months and chitchatting all the way during the launch while trying out the products. 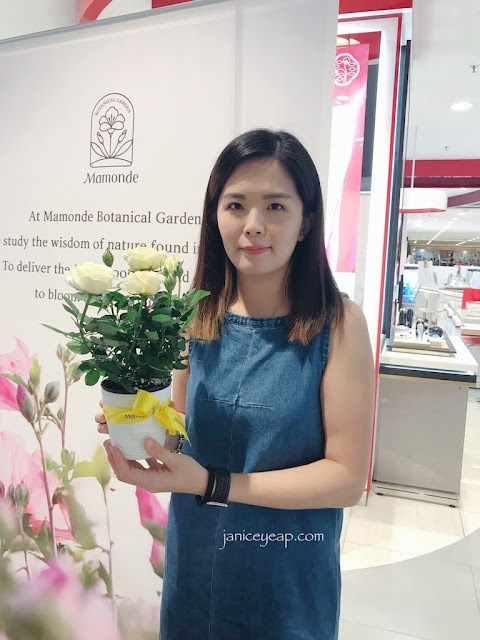 During the media session, we were given the opportunity to play some activities organized by the Mamonde team and I managed to bring home a pot of roses after decorating them. Infused with 90.97% rose water, Mamonde Rose Water Toner helps provide excellent soothing and moisturising care for the skin. When applied, it absorbs into the skin immediately and softens rough, flaky skin to reveal a clear and vibrant complexion. 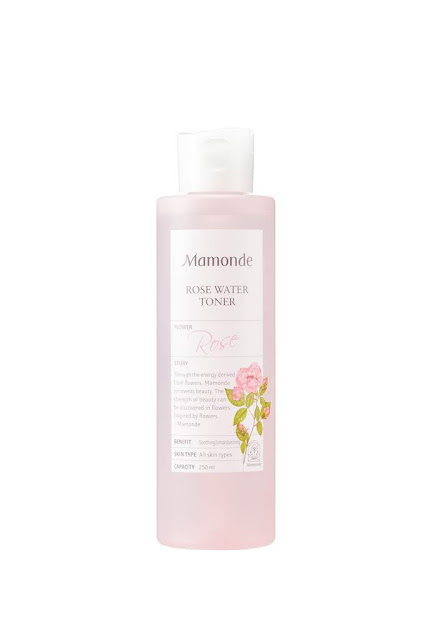 Through a clinical test conducted by Mamonde, the Rose Water Toner has been proven to be the best toner for 7-toner method as there is a significant increase (up to 182%) of the skin's moisture capacity when tested on the skin. 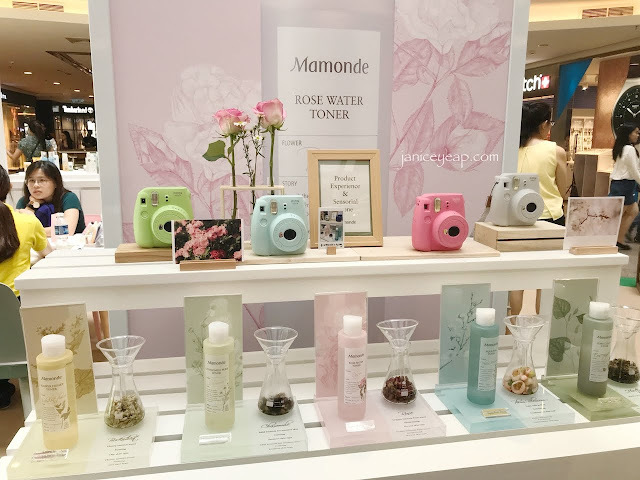 The Mamonde Rose Water Toner is free of animal ingredients, mineral oil, polyacrylaminde, Imidazolidinyl urea (an antimicrobial preservative), triethanolamine, silicone oil and synthetic colour. A refreshing peeling toner that wipes away dead skin cells from the skin's surface, leaving skin feeling smooth and moisturized. When applied, the components of the Plum macerate dead skin cells on the skin surface, while the plant-based enzymes stimulate the skin's turnover process to exfoliate skin effectively. The moisturizing components infused in the Aqua Peel Toner, on the other hand nourishes and provides ample moisture to leave skin feeling moisturized. 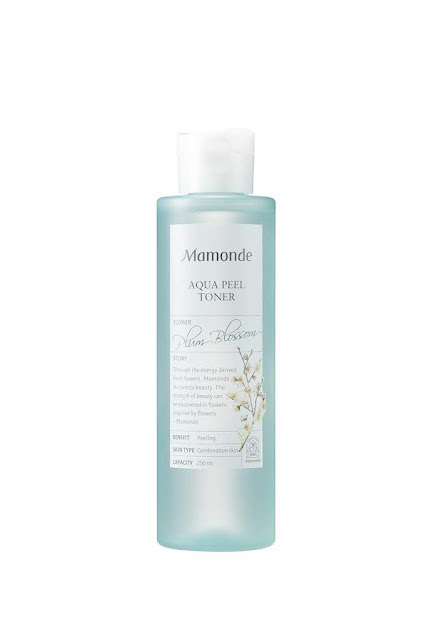 Mamonde Aqua Peel Toner ensures an effective exfoliating care to the skin as it offers triple peeling effect - a combination of bio-peeling originated from plant-based enzymes, chemical peeling with natural AHA as well as physical peeling when wiping off the skin using cotton containing the Aqua Peel Toner. It is free from animal ingredients, mineral oil, synthetic colour and triethanolamine. 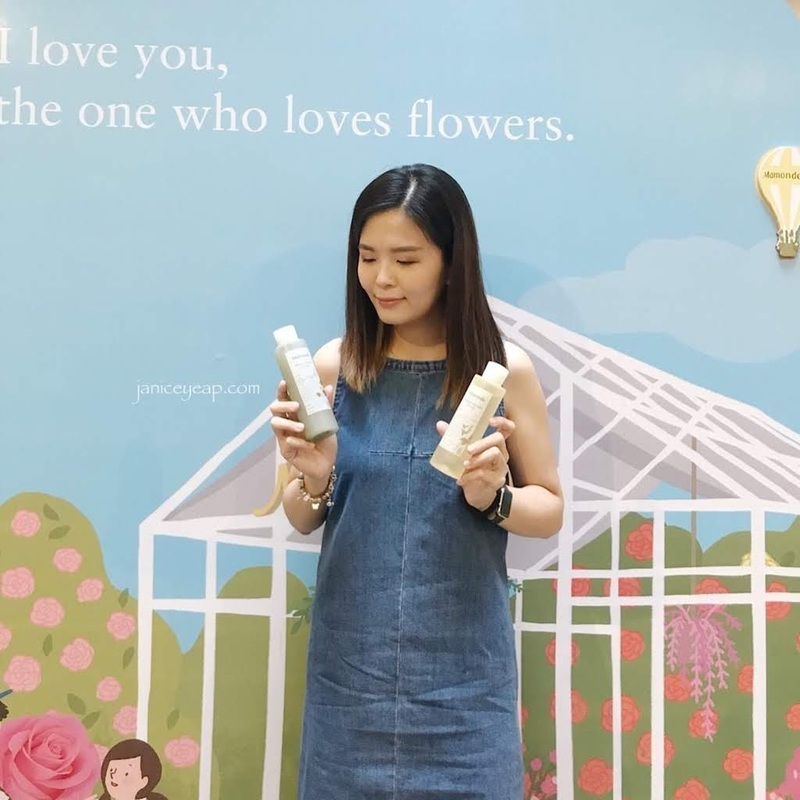 This is a double-layered toner that is formulated with Heartleaf Houttuynia or also known as Eoseongcho tincture and mud from Korea's West Coast. 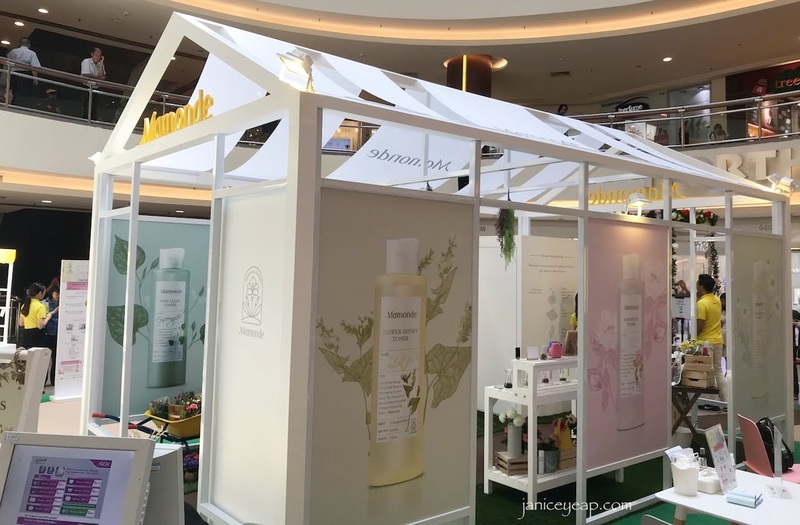 Heartleaf Houttuynia contains anti-bacterial and anti-inflammatory benefits that can especially help purify excess sebum and impurities in whisking blackheads away on skin's surface, thereby reducing inflammatory response and preventing the development of acne and pimples. 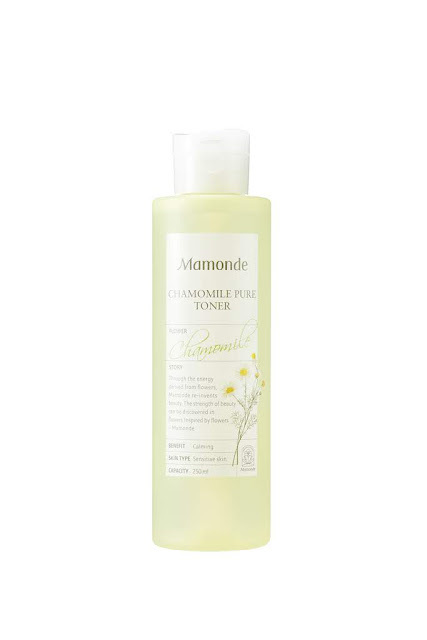 Chamomile Pure Toner is formulated using 6 ingredients to help soothe and alleviates inflammation and roughening of the skin which is ideal for consumers with sensitive skin. The Mamonde Flower Honey Toner is an essence toner formulated with Buckwheat Honey which helps nourish and firm up the skin by strengthening the skin barrier to improve skin's texture and elasticity. 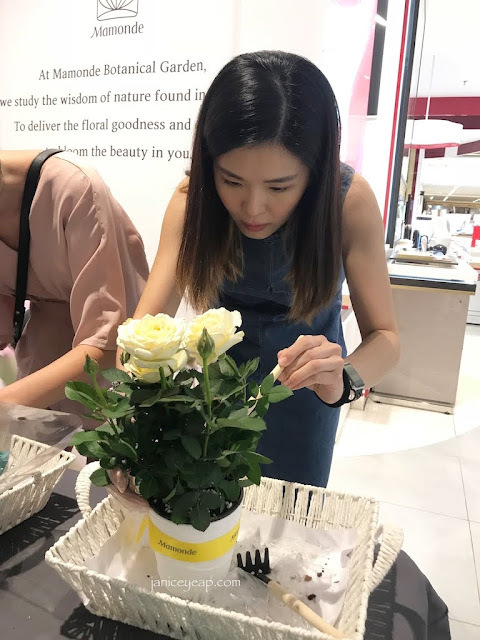 It is also infused with Propolis (a natural homeostatic substance produced by combining plant sap and bee saliva), which functions to protect the skin from external stimuli with excellent anti-bacterial, sterilizing and anti-inflammatory effects. 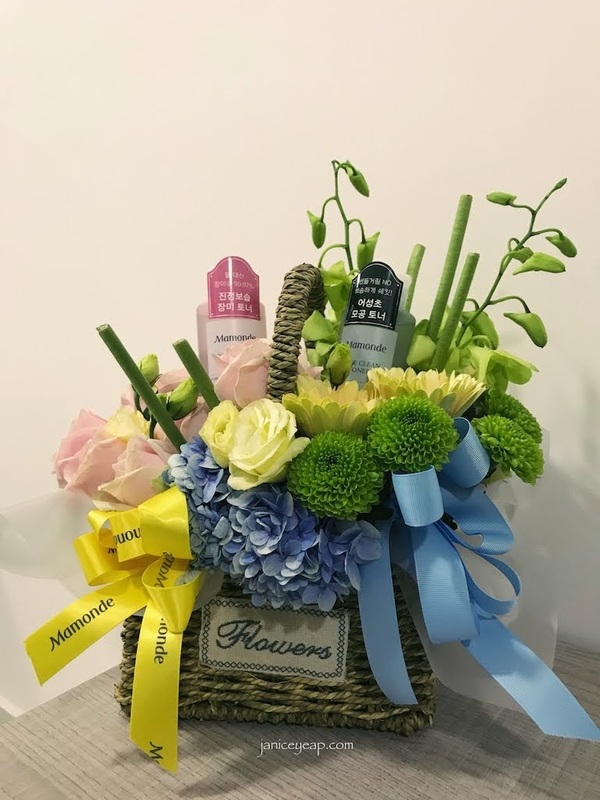 The Flower Honey Toner is ideal for consumers who are facing extreme skin dryness and signs of early aging. 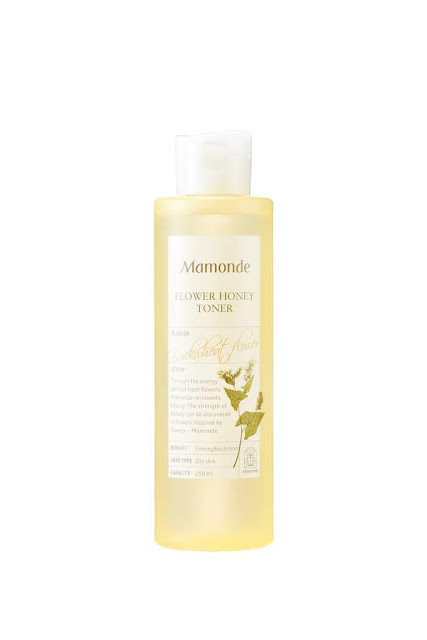 The Mamonde Flower Honey Toner is free from mineral oil, synthetic colour, silicone oil and polyacrylamide. The Mamonde latest Flower Toner series can be purchased through the Mamonde Beauty Counters at Aeon 1 Utama, Aeon Mid Valley Megamall, Parkson Suria KLCC, Aeon Bukit Indah JB, Aeon Tebrau City JB, Parkson Gurney Plaza Penang and selected Sephora stores located at Mid Valley Megamall, 1 Utama, IOI City Mall, Komtar JB, IMAGO Shopping Mall KK and Nu Sentral KL. 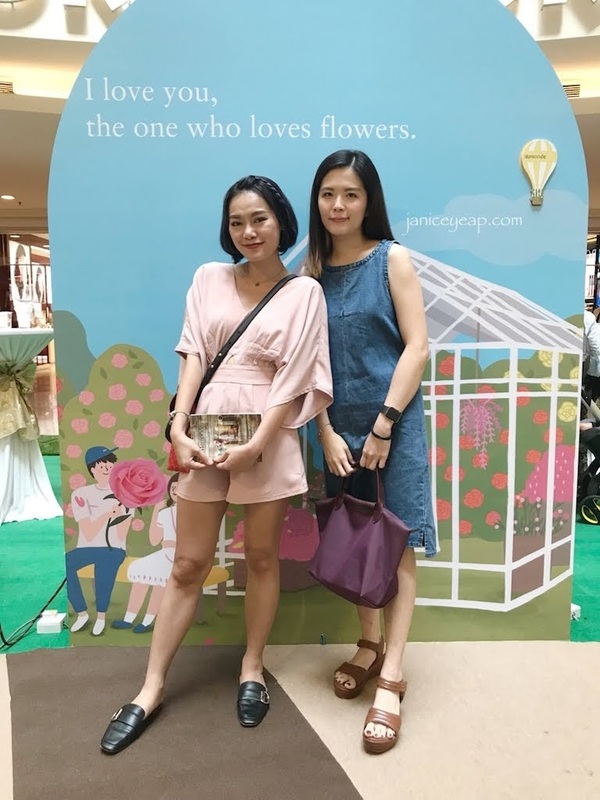 It is also available on www.lazada.com.my and www.hermo.my. 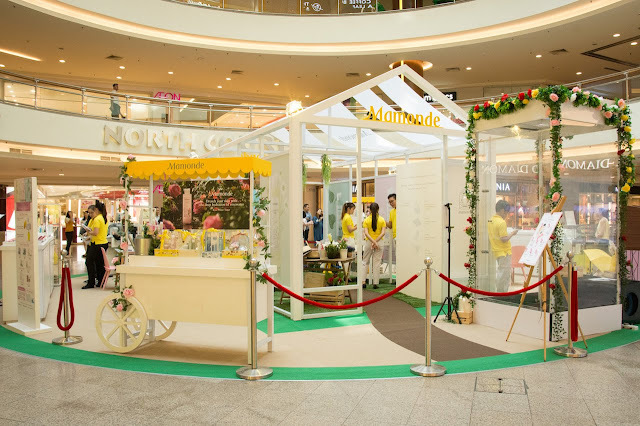 For more details, check out their website @ www.mamondegarden.my, Facebook page @ www.facebook.com/mamonde.my or Instagram @ www.instagram.com/mamondemalaysia.